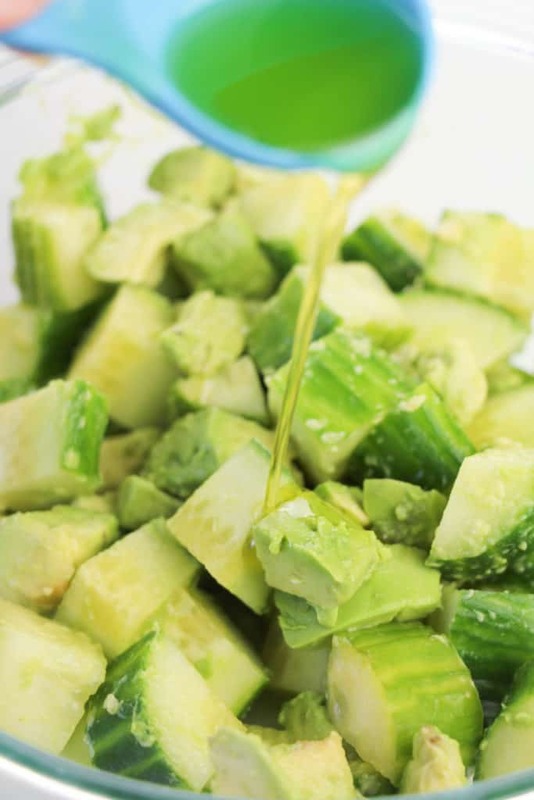 This low carb avocado cucumber salad is the perfect side dish! Eat it on its own, with seafood, or with an arugula salad! 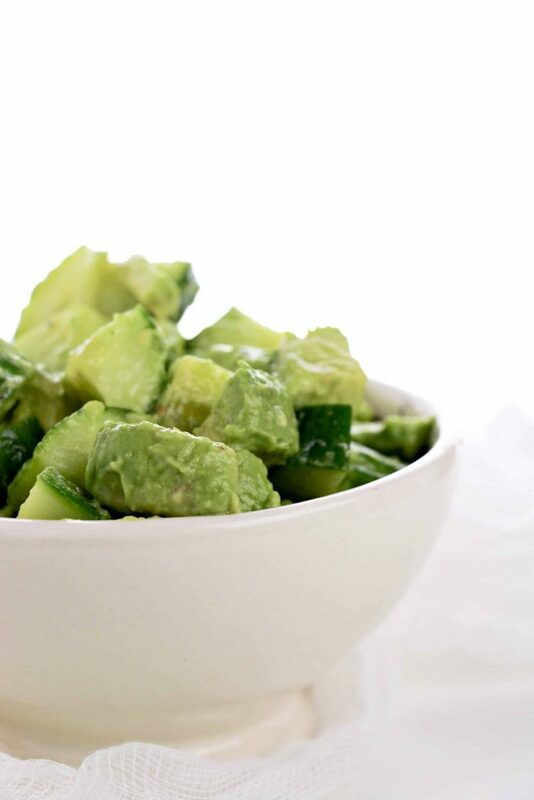 This creamy low carb avocado cucumber salad is perfect for the upcoming warm weather! 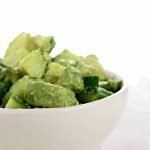 Our avocado and cucumber salad is flavorful and creamy enough to eat on its own, but you can also serve it on some fresh cloud bread (this easy Keto cloud bread recipe is perfect! 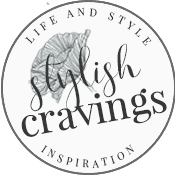 Just leave out the pepperoni), or eat alongside this Keto fried shrimp recipe! 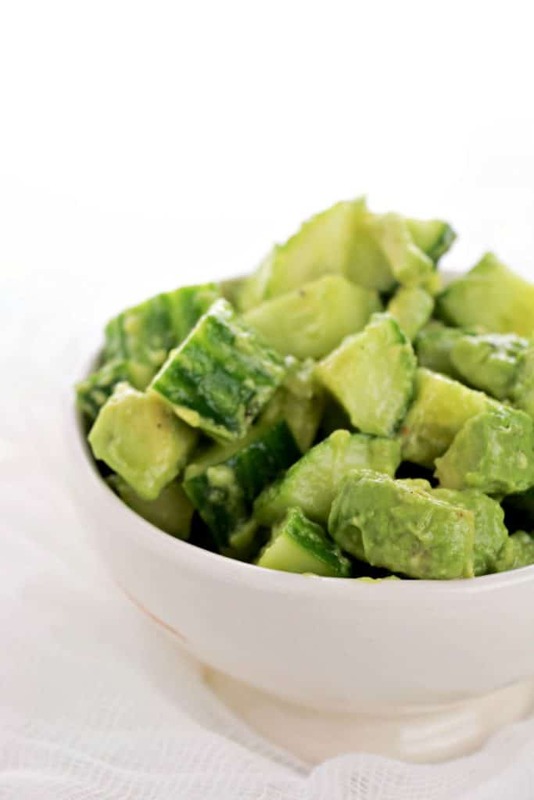 If you’re not on a low carb diet, you can also serve this avocado cucumber salad on a soft tortilla or spread it on toast! 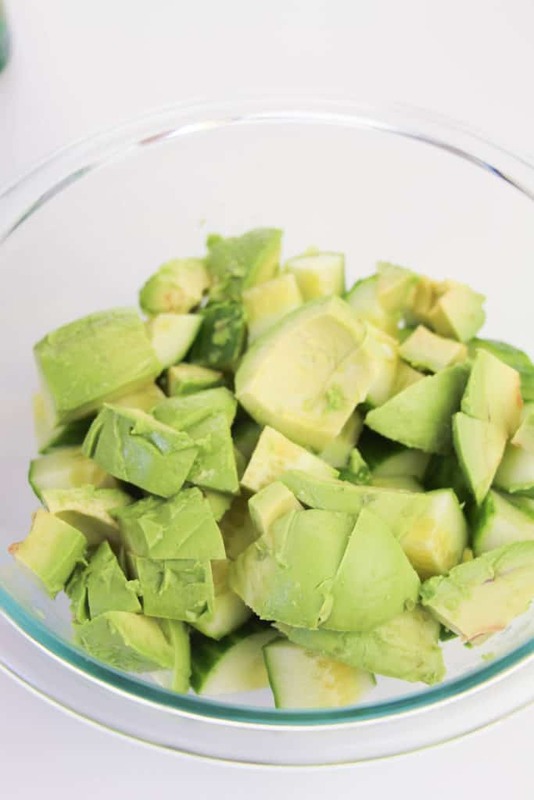 Note: I used two avocadoes in this recipe but if you want them more for creaminess, just use one. 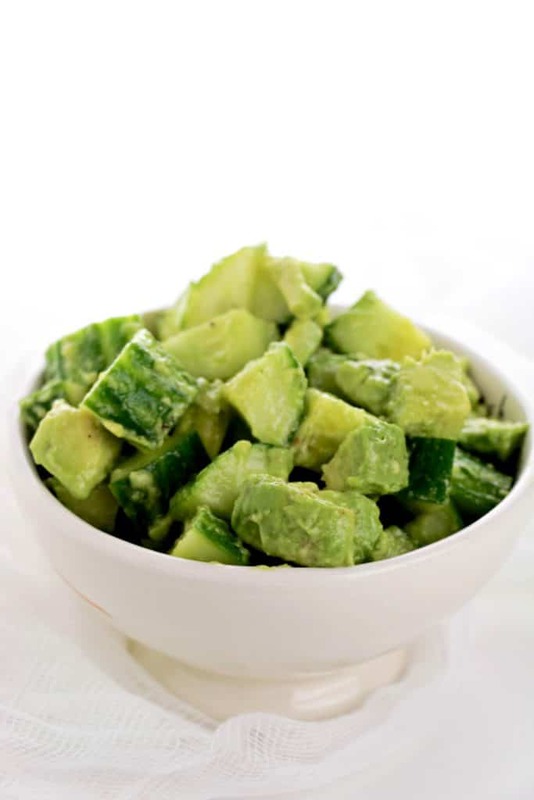 Combine all ingredients in a large bowl and toss well to coat and mash up the avocadoes a bit. 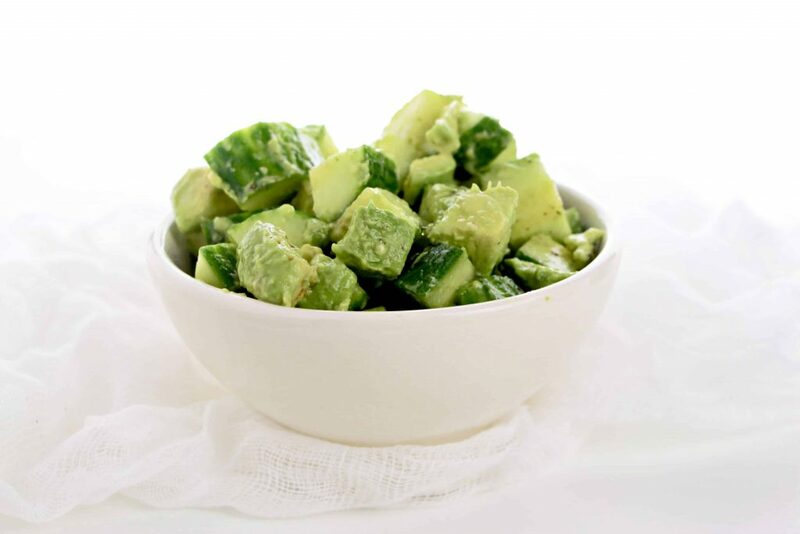 An easy and fresh low carb avocado cucumber salad is the perfect side dish! 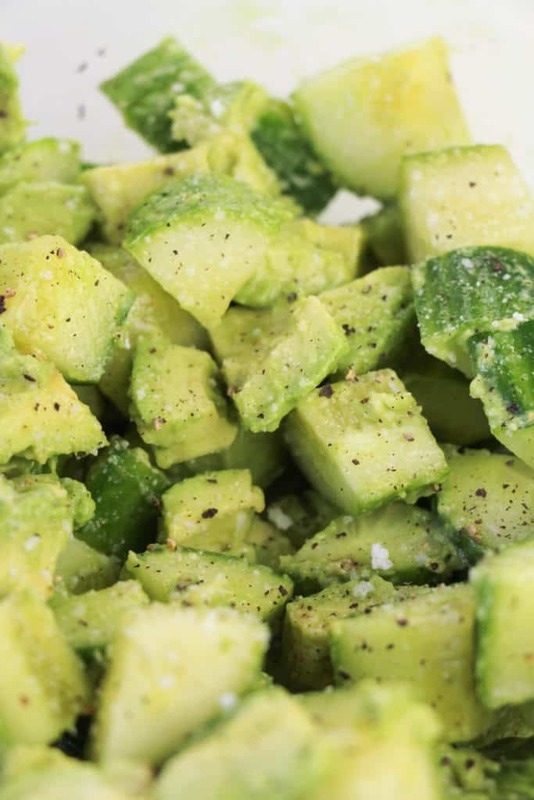 I used two avocadoes in this recipe but if you want them more for creaminess, just use one. 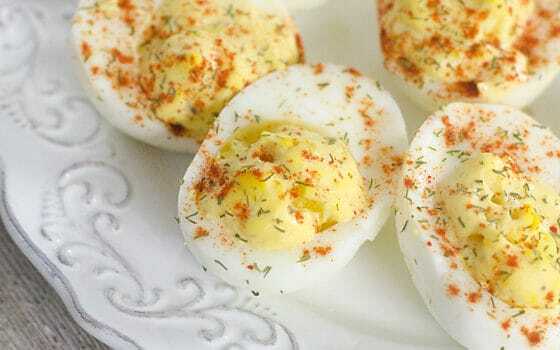 Follow me on Pinterest for more low carb spring recipes!